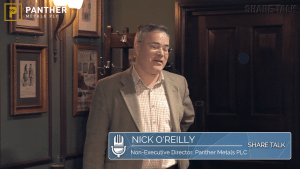 This is the company presentation presented by Darren Hazelwood, Chief Executive Officer and Nick O’Reilly, Non-Executive Director at Share Talk investor show held on the 29th March 2019 at The Counting House, London, England, UK. 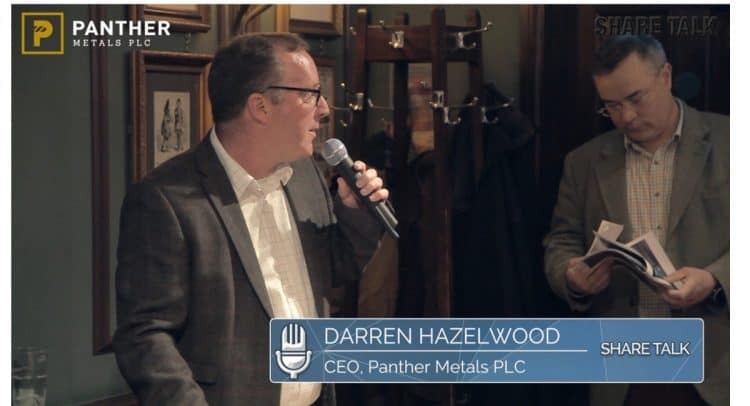 Panther, the London NEX Exchange Growth Market listed investor in strategic natural resource opportunities, is focused on generating shareholder value through advancing high-quality exploration opportunities in stable and mining friendly jurisdictions. The board has demonstrated capability in taking projects from early grassroots stage through the development curve to production, with a combined 40 years’ experience in the mineral exploration and mining finance sectors.